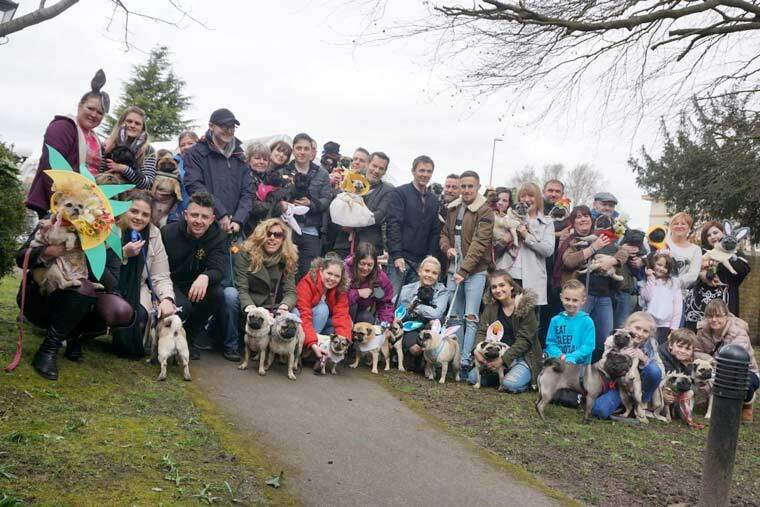 The start of Discover Wimborne – a month of activities, competitions and exclusive offers - started in style when over 100 pugs pulled out all the stops for the Easter Pug Parade. Held at the Olive Branch, many of the pugs sported headdresses and the parade took place alongside Easter Egg hunts and live music around the town. With over 100 businesses taking part in Discover Wimborne, and 140 events scheduled, Wimborne is the place to visit this April. As well as an array of special offers and promotions, visitors and locals can explore the delights of the town and make the most of the month-long promotions. This Saturday, 7 April, visitors to the historic town can enjoy an array of family fun including the Number 9 on the Green family day, with a host of activities which includes children’s entertainer Jamie Jigsaw, (11-4pm). A craft fair will also take place in Wimborne Square and will showcase the talents of local contemporary crafters and artisans, (10-4pm). Other activities will include Gulliver’s Book Shop ‘Facts, Myths and Legends’ town tours.